This spring we delve hungrily into disparate aspects of admiration. The sacred dance O Virgo splendens embodies trancelike veneration; in Ciconia’s exuberant O Padua, the shining star is a fervently admired city. 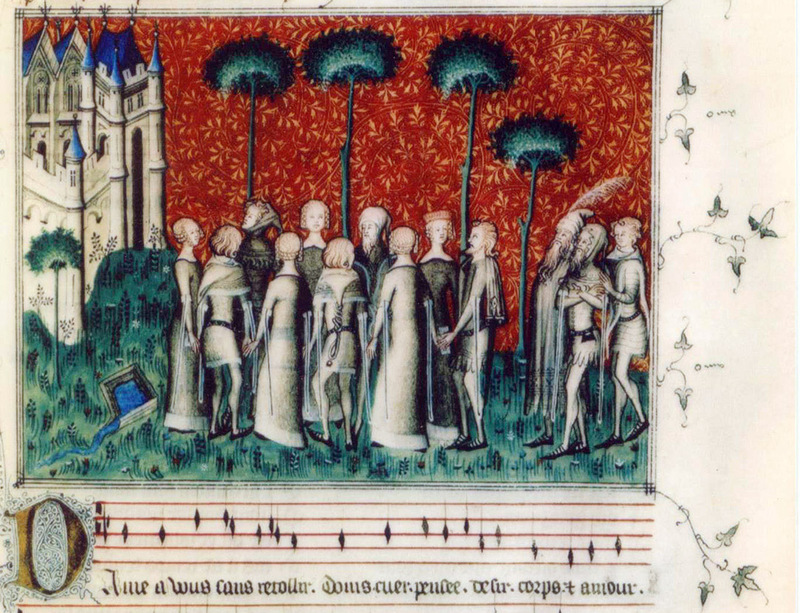 Several songs from Machaut’s Rémède de Fortune depict shameless giddiness, dutiful devotion, and fervent gratitude, while his wretchedly beautiful rondeau Puis qu’en oubli broaches the misery of rejection. We find profound compassion for the besmirched in the Fortuna desperata of Busnois and its intricate homage by Agricola; our shared grief at the loss of Machaut, declared in the Armes, amours of Andrieu, is comfortless but resigned. Why not the Messe de Nostre Dame as centerpiece? 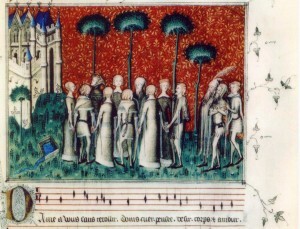 Machaut’s remarkable and inimitable work, by far the earliest known setting of the complete Ordinary, offers in its adoration of the divine an expressive range perhaps never exceeded.